‘Tis the season for shopping! Finding the most perfect Christmas presents can be a challenge. 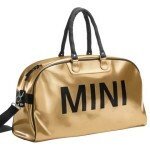 That’s why MINI Lifestyle Collections is offering some of the most creative gifts for the holidays. 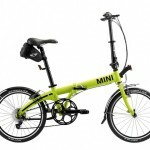 The MINI Folding Bike Lime will be the star under any Christmas tree. Built with an aluminum frame, 20-inch wheels and eight gears, this folding bike is fast and agile. With just a few hand movements, the whole thing can be collapsed and folded up. Special features include the air pump that is integrated into the seat post and the KLICKfix adapter for attaching accessories (bike pictured in gallery, below). The MINI Rooftop Cabin Trolley is the perfect companion for any business trip or weekend away. This hard-case travel trolley with racing-stripe design is lightweight and offers the perfect amount of storage space for a few nights away. Also, the case’s four wheels sport the MINI Cooper wheel rim design. Cute. 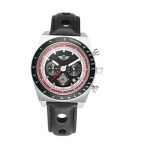 The MINI Chronograph Watch (in silver or black) stands out from the crowd with its sporty design and diverse range of functions. 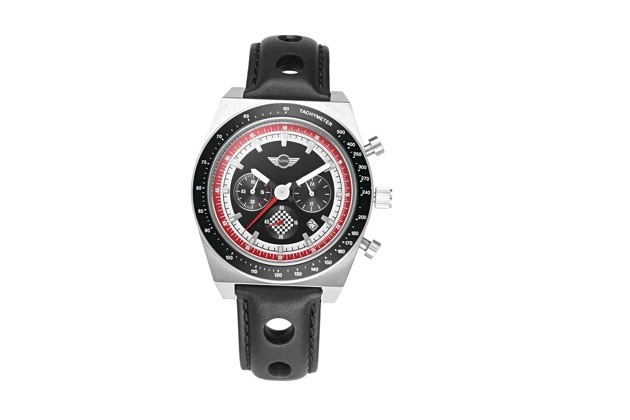 The watch is waterproof up to 320 feet, and its special features include a stopwatch function, tachymeter scale, date indicator and luminous hands (pictured). The MINI Big Duffle Bag is the perfect gift for travel and sports enthusiasts. This retro-style bag has hand straps and a detachable shoulder strap. Available in a choice of eleven striking colors, including gold (pictured). 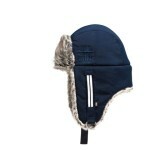 Keeping ears warm this winter will be easy with the MINI Lapeer Hat, because this faux fur-lined trapper’s hat incorporates cozy ear flaps (pictured). The MINI Sweat Hoodie is a sporty, hooded jacket with a pouch pocket at the front, making it perfect for cozy evenings at home. The pink lining and zipper give the jacket an appealing splash of color (pictured). Tangled cables are a thing of the past with the MINI Zipper Earplugs. 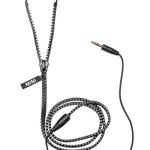 The innovative zipper design of these in-ear headphones prevents knotting. 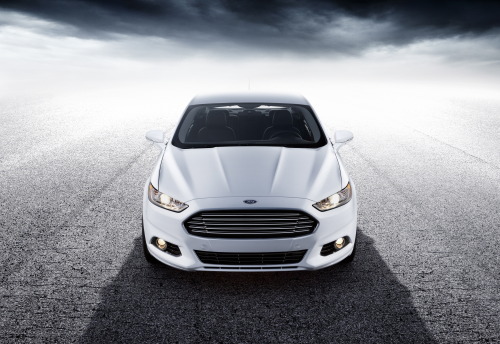 They also deliver top sound quality and are available in either black or white. The MINI Liquid USB Mouse will add a splash of novelty to any boring work space. 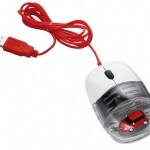 A miniature MINI Cooper is frozen inside the clear mouse, which also has a white button casing and a festive, bright red cable. The MINI iPad Sleeve (suitable for iPad 2 and 3) offers perfect protection for tablet computers. This zip-up case comes in two clean and stylish designs: checkered or bonnet stripes.